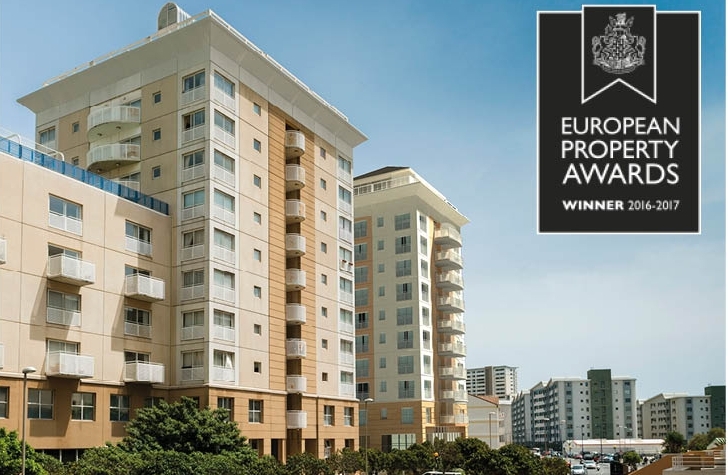 WestOne is enormously proud to announce that it has successfully won this years European Property Awards, in the category for Best High Rise Residential Development in Gibraltar for 2016. Now in their 25th year, The Awards are considered the most prestigious, and widely recognised programme throughout the regions. Every year entrants are judged by an independent panel of 70 industry experts, as well as members of the House of Lords, such as Lord Caithness, Lord Best, Lord Liverpool, and Lord Thurso. This year WestOne has been successfully recognised as one of the most innovative, exceptional, and ambitious projects of 2016 – an absolutely enormous achievement for the development!